As digital marketers we look to specific metrics and data points to tell us if our campaigns are a success or not. In digital advertising for example, we can see whether or not our advertising campaigns are capturing new customers at a viable cost per acquisition (CPA). We want a positive return on our investment. In social media marketing though, it's not always so cut and dry. Beyond posting updates on your Facebook page, what else are you doing to measure your success on social media? What are you doing to turn social media fans into paying customers or qualified leads? Ask any marketing professional and they'll tell you that social media should bring in a measurable return on investment like any other marketing channel. We want to know how social media is affecting our bottom line. What social media metrics do I need to track? For those looking to make sales or generate leads using social media there are only a few metrics that really matter: click through rate, bounce rate, and social media shares. These metrics are easy to measure on any social media platform. Ok. So, why these metrics? 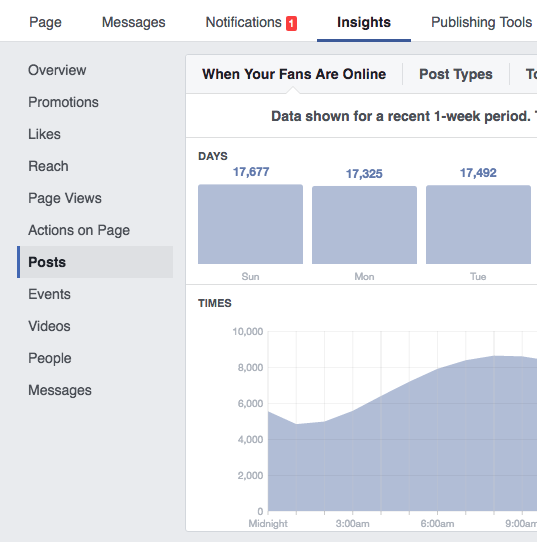 At a high level, these metrics are strong indicators of how well your social media marketing is doing at engaging fans. We want to know how effective the content you are sharing is at bringing new customers into the business. Why is click through rate an important social media metric? Your click through rate (CTR) measures the percentage of people that click on the content you post. The higher your CTR is, the more you know that what you're post is resonating with your fanbase. By monitoring the CTR of your posts you'll know what content your audience chooses to engage with and what they ignore. On your business page click on your "Insights" tab. Click on the "Posts" tab to the left. There you'll be able to see the statistics on each of your posts. Calculate the CTR by dividing the number of clicks your post received by the number of impressions. Head to https://analytics.twitter.com/ to see your Twitter analytics. Click on the "Tweets" tab in your menu. There you can click on each of your tweets to see how many people clicked your link. Test and apply the messaging that most resonates with your target audience. Experiment with more and varied types of visual content. Use popular hashtags in your niche to reach more people. Post during the times your audience is most likely to see your content. Why is bounce rate an important social media metric? Bounce rate is the percentage of people that quickly leave your website after only viewing one page. If a visitor leaves quickly after they arrive your bounce rate increases, if they stick around and go on to view more pages your bounce rate decreases. It's an important metric to monitor because you can compare it to your other sources of traffic in terms of the ROI it's bringing your business. If your bounce rate is lower than say, organic traffic, that tells you that the traffic you're bringing to the site is more qualified and more interested in what you're selling. Your visitors are clicking on your post, arriving on your landing page, and sticking around to see what your business is all about. 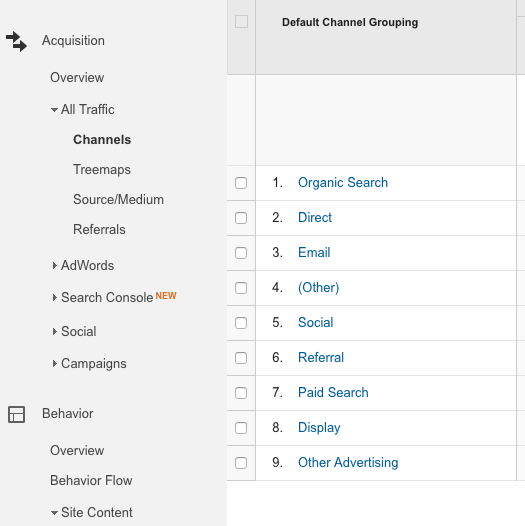 You can take a look at your traffic sources via the "Acquisition" > "Channels" tab in your Google Analytics. Test and improve the messaging of your posts to speak more to the people in your target audience. Experiment with different types of content to find out what resonates most with your target audience. Improve the messaging and user experience of your landing pages to compel your target audience to explore more of your website. Though a high bounce rate isn't always a negative — you may of matched their intent or answered their query — it is a solid indicator of whether or not they're the right audience for your business. Why are social shares an important social media metric? Facebook, along with it's little brother Instagram, have announced changes to their Newsfeed algorithms to favour updates from your friends and families over business pages. The declining reach of business pages on these platforms has been a hot issue for a while now. From what we know, the best way to have your content shown organically to more of your audience is to increase the amount of content that's shared. 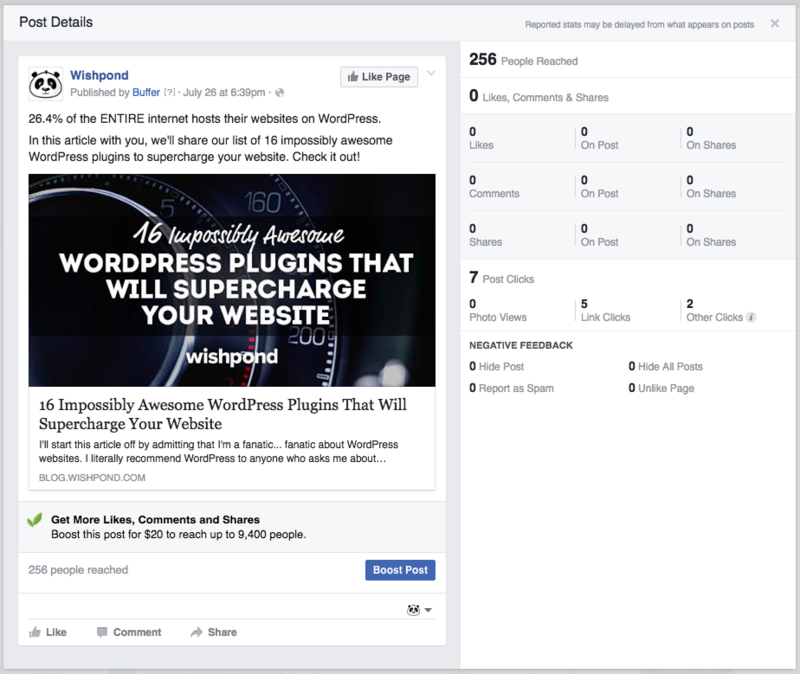 The act of sharing a piece of content is an indicator of how valuable it is to a Facebook user. It tells Facebook that, that piece of content was so valuable that you wanted to share it with your friends and family. The same goes for Twitter. If a like is a hit, then retweets are home runs. A retweet is considered content amplification — more eyes on your content. Aim to get as many (high-profile) retweets on Twitter as possible. Double down on the content you've had the most success with. Make a considerable effort to involve your followers in your social efforts for more shares to their networks. Social media presents a host of possibilities for today's marketers. With the recent algorithm changes it's more important than ever to know exactly what you're trying to accomplish on social media. By monitoring these three metrics you'll be able to know if you're posting the right content, connecting with the right audience, and if you're receiving a positive ROI. Are you keeping an eye on these metrics? Or do you monitor a different set of metrics? Weigh in below and share your thoughts with me!